Are you finding your search for a Wisconsin Chevy dealership stressful? Then you need to make your way over to Ewald’s Chevy dealers in Wisconsin. Ewald Chevrolet Buick wants to make it easy to find the right used trucks for sale in Wisconsin to meet your specific needs. Ewald's’ Chevy dealers in Wisconsin is proud of the variety of used trucks for sale in Wisconsin. As well as the many amazing used Chevy trucks for sale we have to offer you. We do our best to offer different kinds used trucks for sale in Wisconsin to accommodate just about any driving need. Our variety of used Chevy trucks for sale in Wisconsin help us do just that. Here at Ewald’s Chevy dealers in Wisconsin, we are confident that you will find something that you will love! Our wide range of used trucks for sale near you not only makes it easy to find something that will accommodate your needs. But it also makes it easy to find great deals on our used trucks for sale near you to take advantage of too. Stop by Ewald’s Chevy dealers in Wisconsin today and take a look at some of our used Chevy trucks for sale In Wisconsin. When it comes to used trucks for sale near me, you can find used Chevy trucks for sale from a Chevy Colorado to a used Chevrolet Silverado for sale. Get ready to claim a Chevy truck as your own at your nearby Chevy dealers in Wisconsin of Ewald Chevrolet Buick. It doesn’t get much easier than coming to Ewald Chevrolet Buick when it comes time to look at a great selection of used Chevy trucks for sale and incredible deals. If it is used Chevy trucks for sale in Wisconsin that you are after, we have just the Chevy truck for you. Like the used 2014 Chevrolet Silverado 1500 LT for sale at Ewald Chevy. This used Chevy truck for sale has lots of interior space and towing capacity. This used Chevy Silverado comes for sale equipped with a powerful flex fuel V8 engine. 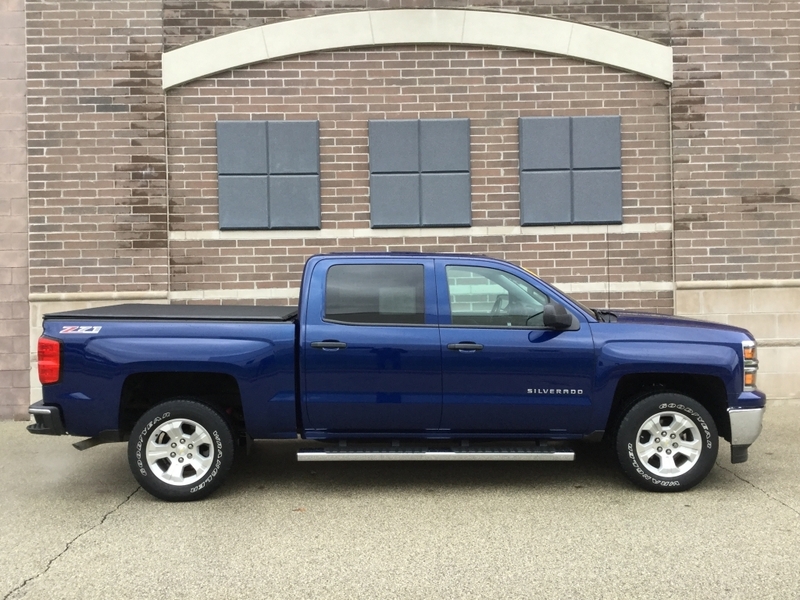 Other features like rear parking assist, rear vision camera, and mylink audio with touch screen, makes this used Chevy truck for sale in Wisconsin a real pleasure to own and drive. If this used Chevy Silverado for sale isn’t the Chevy truck for you, we have a large selection to choose from at Ewald’s Chevy dealers in Wisconsin. Ewald’s Chevy dealers in Wisconsin looks forward to working with you on finding that perfect truck. Ewald Chevrolet Buick is honored to provide you with the best truck buying experience possible. When it comes to buying your next used Chevy truck for sale, Ewald’s Chevy dealers in Wisconsin is here for you. You can give us a call at (262) 226-2842 to schedule your test drive. Or, check us out in person at Ewald Chevrolet Buick located at 36833 E Wisconsin Ave Oconomowoc WI, 53066.